Are you looking for TS TET Syllabus 2018? Then you are at the right place, here you can download TS TET syllabus and able to check TSTET Notification, Eligibility Criteria, Important Dates, Exam Pattern, Old question paper and reference to important books. Firstly, the aspirant must have to know the importance of Telangana TET. TSTET which is an acronym of Telangana State Teacher Eligibility Test is conducted by the Department of School Education Board every year. The main objective to conduct this exam to filter the eligible candidates for the post of the teacher from classes I-VIII. Telangana TET is mandatory for all those candidates who are seeking their career in teaching up to VIII class. No candidate can apply for any state government teaching post without qualifying Telangana TET. So let's start with TS TET Syllabus 2018. To download Paper 1 syllabus Pdf for the language in which you want to apply for the Telangana TET, simply click on the corresponding Download link given below in the table. To download Paper 2 syllabus Pdf for the language in which you want to apply for the Telangana TET, simply click on the corresponding Download link given below in the table. I hope your syllabus has been downloaded. The examination schedule for 2018 is given in the table below. The official notification like every year will come in the month of June. Candidates can apply within one month after the notification arrives. Candidates will be able to download hall tickets a week before the exam. The examination is likely to be done at the end of July and the result will be out in the month of August. TSTET notification has not come yet. 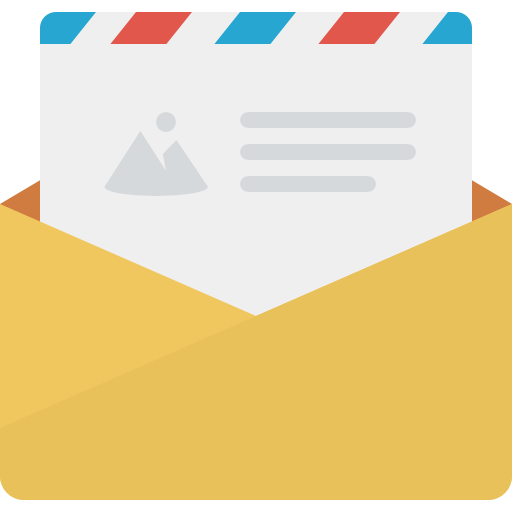 As soon, the notification will be released, you will be able to check notification. As we discussed above, the notification will come in the month of June only on the official website. 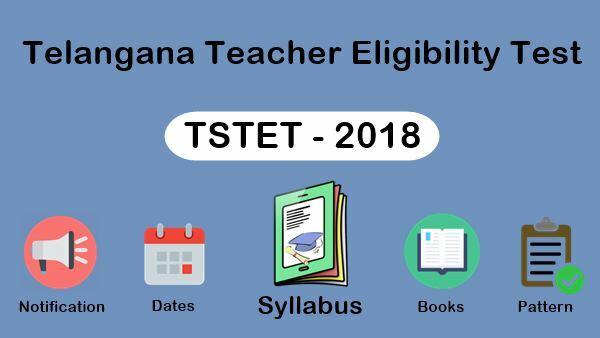 You will also be provided with the link to the official Telangana tet 2018 notification here. TS TET Online Application form will be available after the notification arrives. Candidates can only apply through official website of Telangana TET. Step 1: To apply for Telangana TET, first visit the official website. Step 2: After that, find the link for TSTET Application form 2018. Step 3: Register yourself in the login form and enter your all details that will be asked. Step 4: Carefully tick options of applying for Paper 1, Paper 2 or Both. Step 5: Choose your language for which you want to apply. Available languages are Telugu, Urdu, Hindi, Kannada, Marathi, Tamil and Sanskrit. Step 6: Before the final submit preview the application form that there is no mistake. Step 7: Finally submit your application fee. Your application will be successfully submitted as soon as your payment is made. Print your application form for the future reference. The TS TET Hall Ticket downloadable before 1 week of the date of the examination. The hall ticket will be available on the official website only. Candidates are requested to visit official website tstet.cgg.gov.in to download hall ticket. Find the link of "Hall Ticket Download" and your submit your details. (i) 10 +2 (or its equivalent) with at least 50% marks (SC/ST/BC/PWD - 45 % marks) and 2 - year Diploma in Elementary Education / 4-year Bachelor of Elementary Education (B.El.Ed.) / 2 - year Diploma in Education (Special Education). Note: Candidates who have passed or admitted to D.El.Ed / D.Ed., course prior to 23-12-2015 required at least 45% (SC/ST/BC/PWD - 40% ) marks in 10+2 or its equivalent. (i) B.A./B.Sc./B.Com., with at least 50% marks (SC/ST/BC/PWD at least 45%). and pass in Bachelor of Education (B.Ed) course / Bachelor of Education (B.Ed -Special Education). Note: Candidates who have passed or admitted to B.Ed., course prior to 23-12-2015 required at least 50% (SC/ST/BC/PWD - 40% ) marks in B.A./B.Sc./B.Com. (ii) 4-year B.A.Ed/B.Sc.Ed., with at least 50% marks (SC/ST/BC/PWD, at least 45% marks). (iii) Graduation with language concerned as one of the optional subjects OR Bachelor of oriental language (or its equivalent) OR Graduation in literature OR Post Graduation in language concerned AND Language Pandit Training Certificate/B.Ed with language concerned as one of the Methodologies, in respect of Language Teachers. There are two types of papers in Telangana TET. First Paper 1 for Primary level and the second one is for Elementary Stage. As you seen above, the total questions in this exam would be 150. Each question will carry 1 mark and there is no negative marking. The total duration of the exam will be 2 hours 30 minutes. You can check here subjects wise exam pattern of Paper 1 and Paper 2. Child Development and Pedagogy: The test items on Child Development & Pedagogy will focus on Educational Psychology of teaching and learning relevant to the primary level. Language 2: The Language-II shall be English for all candidates. Mathematics and Environmental Studies: The questions approach for Mathematics and Environmental Studies are from topics of Classes I to V. But the difficulty level could be up to matriculation level. Both Mathematics & Environmental studies contain 24 Questions from content and 6 questions from Pedagogy. Child Development and Pedagogy: The test items on Child Development & Pedagogy will focus on Educational Psychology of teaching and learning relevant to the elementary level. Language 1: Questions based on the language selected by the candidates. Social Studies/Social Science: The questions areas namely, History, Geography, Civics and Economics. Out of 60 marks, 48 will be on content and the remaining 12 on Pedagogy. TS-TET Certificate shall be valid for a period of 7 years from the date of TET examination in accordance with NCTE Guidelines. Subject wise books for Telangana TET are given in the table below. These books are also useful for Central Eligibility Test. These books are prepared according to the syllabus and patterns of the exam. You can follow these books for the better result. You can download old question papers from here. It happens many times, that some questions from old question papers repeat. And if this happened then it will be a great opportunity for you. Old Question papers provide us standard of the examination. So download old question papers and practice these for good results. The Telangana TET Answer key will be available after the exam. Candidate can check the answer key of the latest exam. The answer key also uploaded on the official website after the exam. To check your Telangana TET result follow the steps given below. Step 2: Find the link to the latest result of Telangana TET. Step 3: After than enter your Hall Ticket No and hit Get Your Result. Step 4: Your result will be displayed on your screen. Hope you will get the desired result. Here we provide you TS TET Syllabus, Examination Schedule, Notification details, How to Apply for this exam, Eligibility criteria, Exam Pattern, Passing marks, reference of important books, answer key and result of the latest exam. Share this information with those who really need it. For latest updates, Like our Facebook Page or subscribe us to get every update in your inbox.